Randy has played piano, sax, organ, and sang for over 20 years! His groups can provide a variety of musical entertainment, from solo piano to quartet/quintet groups for a variety of settings. All ensemble members have been formally trained on their instrument(s) and have at least 6 years of professional experience. We strive, at minimum, to meet our clients' expectations in both our performance and fulfillment of the musical genre in which we perform. 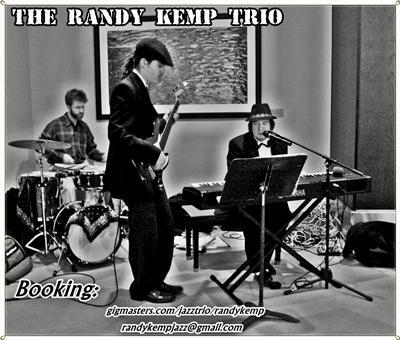 The Randy Kemp Trio have played all over the east coast, from the Newport Mansions to Miami. Auxiliary percussion is also available (bongos,congas,etc.) for more intimate settings where a standard drum kit would be either too loud or not fit physically. Besides the booking history appearing on Gigmasters, Randy Kemp has been involved in a variety of musical projects, and has performed at venues in many areas, including in Bridgeport, Milford, Danbury, Monroe, New Haven, Newport, Boston, Miami, and elsewhere. He produces/composes all types of music at two studios in Connecticut, offers private instruction and has given lectures on various aspects of music. Randy has a wide range of experience in both live and studio settings and can help you plan every aspect of musical entertainment. Have Randy Kemp perform at your next event: add that 'something extra' that will make your event musically memorable! Thanks for your time and consideration! 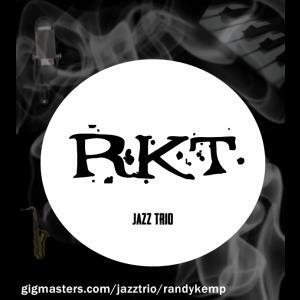 After careful consideration of several options, I ended up making the right decision with the Randy Kemp Trio. Not only were they willing to work with me on every aspect of my entertainment needs, they were top shelf talented performers! I can't wait to work with them again! These guys deliver a stellar performance and conduct themselves professionally! I'm one pleased customer! Our wedding was a huge success, thanks in large part to Randy and his trio. His professionalism, thoughtfulness, and talent were clear. Randy arranged several songs into jazz versions so that they would fit into our theme. I will never forget the dance with my father, which was a special arrangement by Randy. I also want to mention the professionalism of this trio. My young cousins ran into them going up the elevator early in the day to set up. These men were kind and friendly to these elementary-school aged children, which means a lot in a family wedding! Thank you for a wonderful experience. I would recommend Randy and his trio to anyone. We had an unusual request to have a solo saxophone player for our ceremony and cocktail hour at our wedding. We did not want any background music to go along with it. Randy was able to fulfill our request and even learn a few new songs for us that we specifically wanted. He was very professional and we loved his music. Randy Kemp Trio were the perfect addition to my dad's 90th birthday party - they were incredibly talented and professional but also easy-going and friendly. They played all the "oldies" and my dad (a long-time musician) loved it. They even did a song or 2 with my son playing his saxophone - very cool! I would definitely recommend them for any event. Superb performers and quality in every category. The group was well versed in all their material and were well received across a large demographic of customers at our venue. Very pleased, and look forward to working with them again for future events. Took requests and delivered as promised. Would recommend highly! He was prompt, professional, and played exactly what we were hoping for. 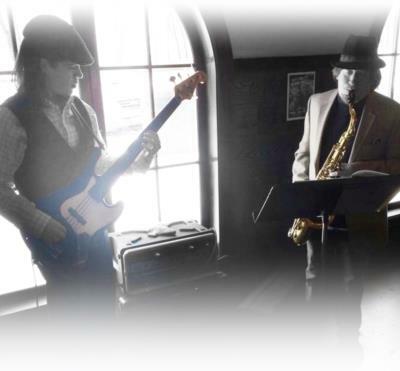 The Randy Kemp Trio delivers just the right dose of bluesy jazz, lending our event a relaxing atmosphere which encouraged our visitors to enjoy the art and mingle. Not too loud or intrusive. Their professionalism and enthusiasm set just the right tone for our Open Studios event. I highly recommend Randy Kemp and his colleagues for any event you have planned. The Randy Kemp Trio were fantastic! They set an elegant,cool and upbeat mood for my party. I was so pleased they played a special song for me that Randy transcribed a few days before the party. I would love to have them play again at a party and would not hesitate to recommend them! Excellent performers and a quality group! We're an excellent addition to our program, and wouldn't hesitate to use them again. Professional in all aspects! Randy and his associate arrived at our event promptly and set right up. They were friendly and professional. Their music was great, they are both very talented; my Uncle, who is a musician himself, was especially impressed with their playing. My parents were thrilled when the guys were able to play "their song", and Randy and his partner really jazzed it up in a nice way. Everyone at the party thought they were great, and I wouldn't hesitate to recommend them to anyone! The next time I need entertainment and I'm in Connecticut, I'll know who to call. Do not hesitate to book Randy Kemp! $100 off a sax and bass duo! Please note Randy Kemp Trio will also travel to Hawleyville, Bridgeport, Danbury, Easton, Fairfield, South Britain, Botsford, Redding Ridge, Stratford, Monroe, Redding Center, Shelton, Stevenson, Georgetown, Ridgefield, Derby, Milford, Southport, Weston, Ansonia.